Come by and see us to get your plants and supplies! 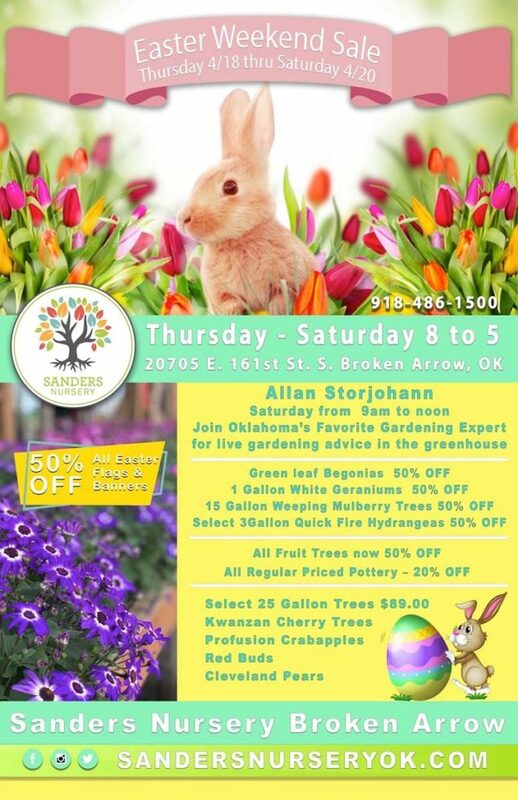 Sanders Nursery is one of Oklahoma’s largest and most respected nurseries, built on a tradition of superior products, exceptional customer service, and old fashioned elbow grease. The Sanders team not only understands the value of hard work; we welcome it. After all, it’s experience and hard work that distinguish Sanders from the mega stores — like our impressive selection of quality trees, plants and flowers… our expertise to keep you gardening like a pro… and our relationships with top southern growers, landscapers and retailers. Check out our new Music of the Spheres wind chimes! Put the Oklahoma winds to good use at your home or office! Come check out the new inside retail area!! Quality that cannot be beat! It’s a pleasure to create a garden and yard showplace when you shop at Sanders Nursery. Come visit us for a mind-boggling selection for every need and season. 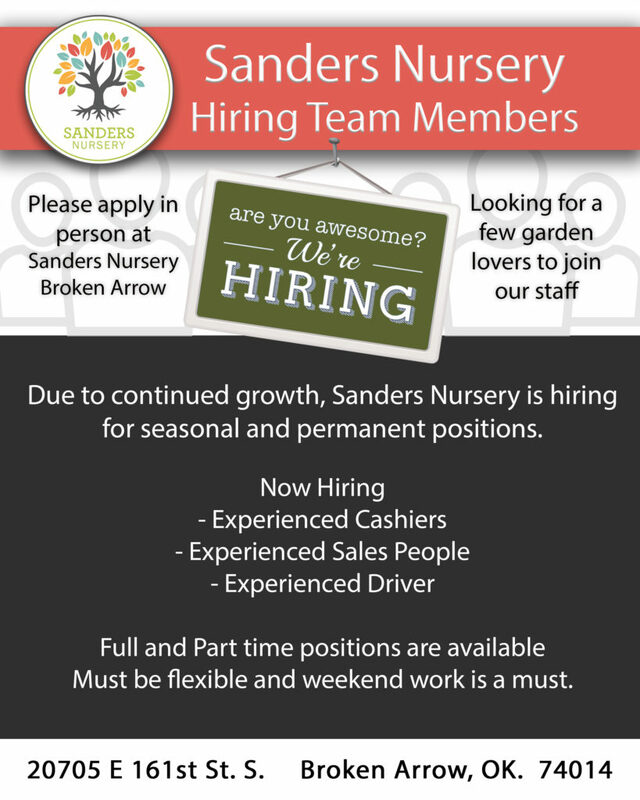 Sanders Nursery is a garden center and nursery dedicated to serving the Tulsa, Broken Arrow, and northeast Oklahoma area (and surrounding states) since the early 1990s. Call us at (918) 486-1500 or email us by clicking here Contact Us!